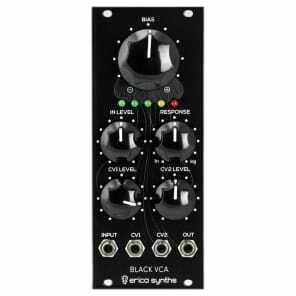 Erica Fusion VCA module uses pentode tube and works as classical VCA with great tube distortion option when input level knob is full up. Erica Synths Fusion series modules are designed combining vacuum tubes and semiconductors therefore they bring warm, powerful sound and crazy overdrive possibilities of vacuum tubes into your modular system. 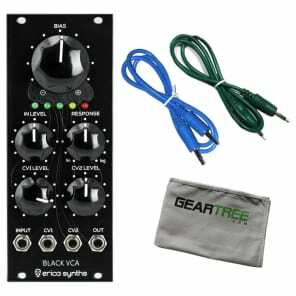 Erica Fusion series consist of whole range of modules used in sound generation and shaping circuit – pure sine VCO with unique tube waveshaper, VCO signal Mixer, Ringmodulator, VCF, VCA and Analogue Delay/Chorus.